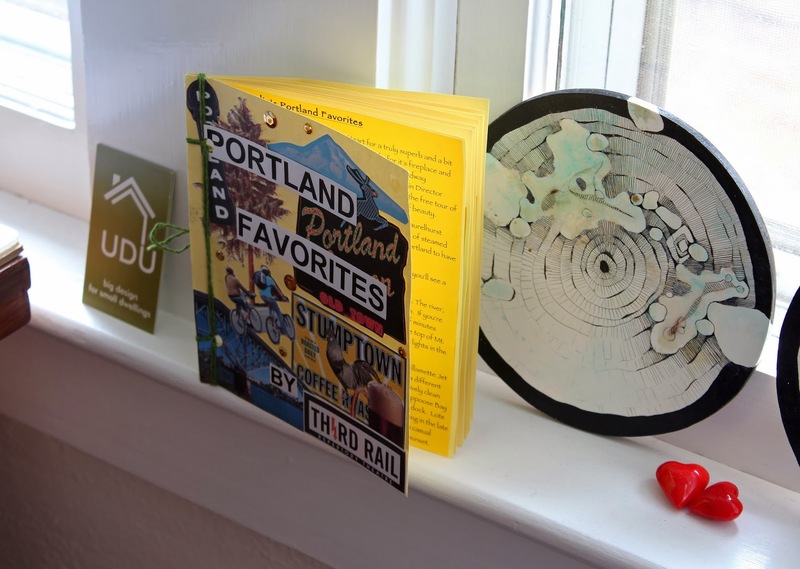 I received this gift, a book (handcrafted by the beautiful and incredibly talented, Amy Frankel) of Third Rail Repertory Theatre member's/cast's favorite Portland places and activities, after the performance yesterday. I LOVE it! And the show...impressed beyond words! Thank you Dave Bodin, Gavin Christensen, Spencer Conway, Don Crossley, Nick Erickson, Amy Frankel, Kelly Godell, Kylie Clark Johnson, Isaac Lamb, Rebecca Lingafelter (yes, dinner @ your place!!! ), Amy Newman, Maureen Porter, Karen Trumbo, Rolland Walsh, and Scott Yarbough for your Portland tips! So touched!